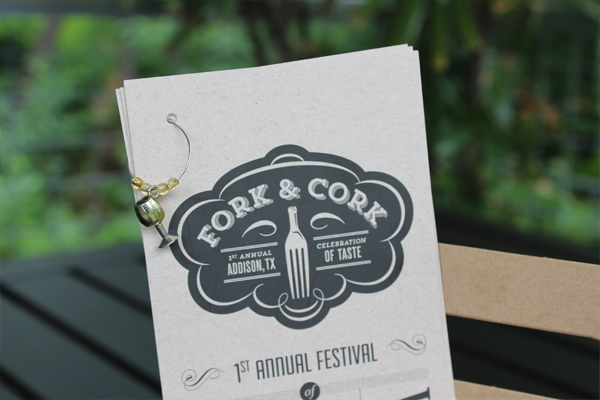 The Town of Addison came to Rainmaker for a unique packaging solution that would be given to media personnel and special guests at Fork & Cork. 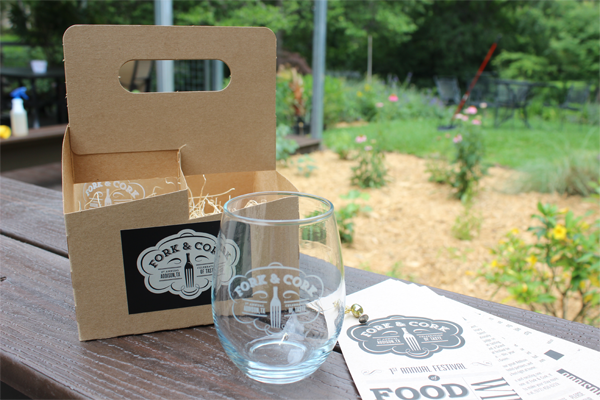 They wanted a package that would contain multiple components and go along with their new “sophisticated rustic” theme. 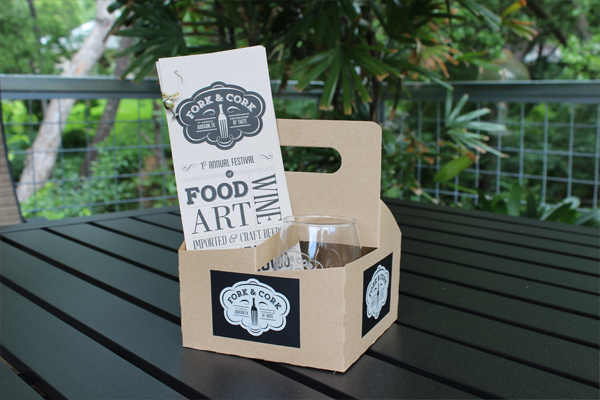 Rainmaker Advertising recommended using a drink carrier with logo stickers to reinforce the brand and provide the practical function of holding two wine glasses, recipe cards and a wine bottle stopper. As a little accent, Rainmaker suggested using wine charms to hold the informational cards together.